For those who live with chronic back pain, which is a large number of people in the US, life can be extremely tough. The pain can affect every aspect of your life and decrease your enjoyment of even small things. Not only that, but back pain can severely limit a person’s ability to exercise, participate in beloved hobbies, or even work. Many people are treated with opioids for their chronic back pain, but these can be addictive and further destroy a person’s health and well-being. A recent study, published in JAMA (the Journal of the American Medical Association), looked at improvement rates in people with chronic back pain who used each of 3 types of treatment: usual care, cognitive behavioral therapy, and mindfulness stress reduction training. The usual care group was simply treated the way they had been before the study. Medications like opioids were generally used in this group. Patients in the cognitive behavioral therapy group attended 8 sessions of training aimed at helping them change their thought processes related to the pain they were experiencing. Those in the mindfulness stress reduction training group had 8 weeks of classes that taught them stress reduction techniques such as yoga and meditation. The results of the study, which included 342 patients who were randomly placed into one of the 3 study groups, were quite interesting. Usual care group: 26.6% of people in the usual care group were feeling meaningfully better 26 weeks into the study. 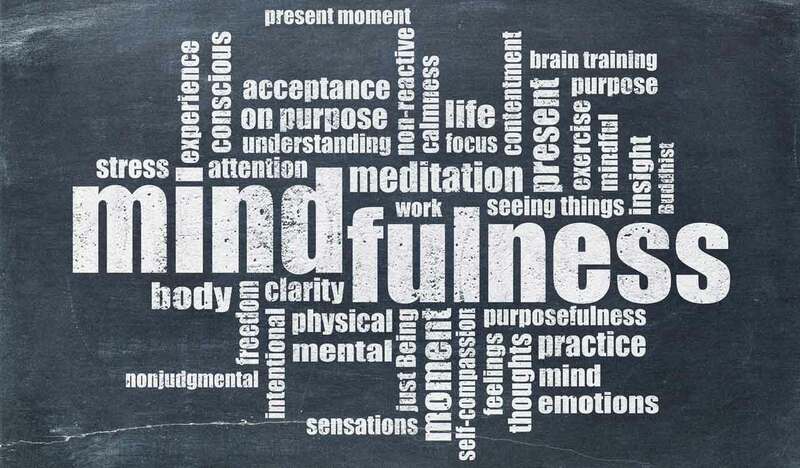 Mindfulness stress reduction training group: 3.6% of those in the mindfulness training group had significantly improved back pain symptoms at 26 weeks if they had attended at least 6 of the 8 treatment sessions. Cognitive behavioral therapy group: 44.9% of patients who went through at least 6 of the 8 sessions of cognitive behavioral therapy reported a meaningful reduction in their pain levels at 26 weeks. For more information on the specific ways that the mind-body connection may impact chronic back pain, we recommend reading Dr. John Sarno’s Healing Back Pain: The Mind-Body Connection.